Aaron and I got home at the same time tonight. I changed G while Aaron changed the cat litter – haha both of were changing things for beings that depend on us! I noticed G’s head felt really warm. Then I noticed she was slightly congested. She’s had stuffy nose issues all summer – I blame the heat and having to run ac and fans constantly. But this was more than just her usual stuffy nose. It seems like it’s further back in her nasal passages. She can still breathe fine, and she’s not wheezing or anything – just a little congestion. It was really how warm she felt that concerned me. I remembered that someone gave us one of those little kits that has a bunch of baby first aid/grooming supplies in it. I pulled out the tiny thermometer and read the instructions, hoping they would have instructions for non-rectal use (you can’t take a baby’s temp orally, so rectal is one way to do it, though I would really prefer not to). Fortunately, this one had instructions for use in the armpit. I took her temp: 100.5. I admit it, I freaked out a little bit. For some perspective, my body tends to run really cold. My average temp is 97.3. It takes a LOT for me to get anything above 98. Aaron called the nurse hotline to see if we needed to take G into the doctor. Neither of us had any idea how high a baby’s temp needed to be for immediate attention. After a barrage of questions from the nurse (all the while Ginny was smiling and babbling like nothing was wrong), we were told to give her some baby Tylenol and call the doctor in the morning for an appointment and to call the nurses back tonight if her temp gets above 101.5. About 20 minutes later, right before giving her the baby Tylenol, I took her temp again (following the nurse’s thorough instructions): 101.8. Commence new mommy freak out part 2. We called the nurse hotline back. After the same barrage of questions, they came to the same conclusion: call back in the morning for an appointment. 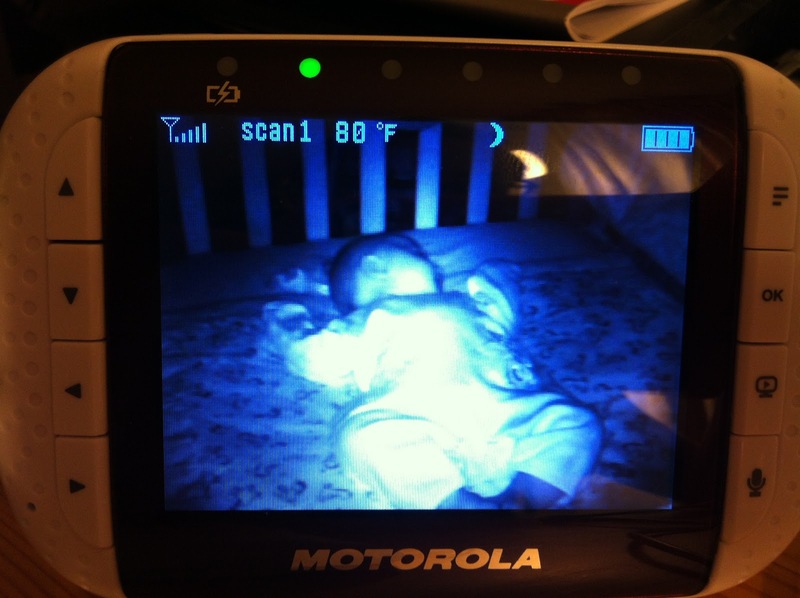 She’s now sleeping soundly in her crib. I didn’t expect to be a worrywart type mom, but I feel very protective of my sick baby. Maybe it’s because it’s the first time she’s ever been sick? I don’t think I will always be so clingy to my baby when she’s ill. But I think I’m entitled to a little clinginess for her first fever. Right? I think I might sleep in the glider in her room for at least part of the night. I just don’t want her being by herself. I am so glad that we decided to buy a video monitor now (it just arrived yesterday – last night was our first night using it). The monitor that we had was a hand me down from a friend, was audio only, and sucked the life out of batteries (we had to replace them literally every other night). Now with the video monitor, I can sit here typing this, while watching her sleep (knowing she’s breathing and ok). That peace of mind is worth every penny! Back to Reality . . .